Thank you to La Canada Valley Beautiful,the La Canada community, and attendees who came from as far as Seal Beach for a wonderful, productive workshop! 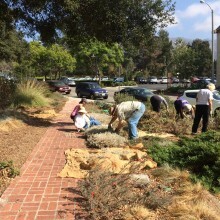 Our bi-annual drought tolerant maintenance workshop left the La Canada Public Library’s Gardens of the World demonstration gardens in tip-top shape, whether we are on the verge of a heavy rainy season or heading into continuing to manage desiccating drought. 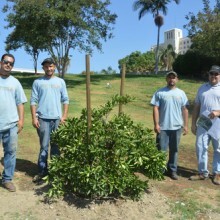 FormLA Landscaping teams are working with Heart of Los Angeles youth to replant trees and hope. 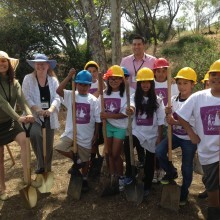 The youth planted 30 dwarf fruit trees, creating the city’s first urban fruit trail. They envision bringing food, hope, and beauty to their neighborhood.